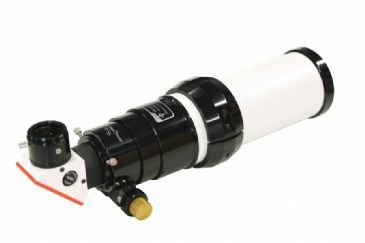 The Double-Stack Etalon Solar-Filter for all LS50FHa Filter and LS60THa Telescopes. 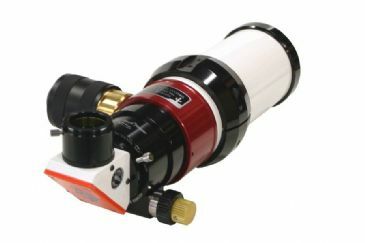 Double-Stack Etalon for all LS50FHa filters and LS60THa telescopes. 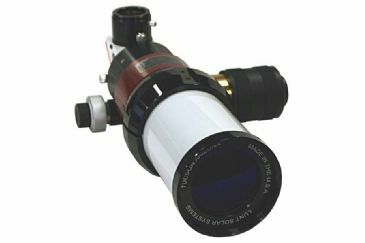 Adding this additional Double-Stack etalon system will reduce the bandwidth to ~<0.55 Angstrom (dependant upon used telescope). So you will have much more contrast and more details on the sun will be visible. Without Blocking Filter! Only for use as double-stack filter, or together with a additional available blocking filter. If the filter is used only single stacked together with a optional blocking filter, then the bandwidth is <0.75 Angstrom.